Morris, Cary, Andrews, Talmadge & Driggers, LLC is an Alabama personal injury firm that is known for their track record of high-value settlements and verdicts, including one of the largest jury verdicts in the history of the state. Apart from their skill in the courtroom, however, the firm's Montgomery personal injury attorneys have also earned significant recognition from organizations like Avvo, Super Lawyers and Martindale-Hubbell Peer Review Ratings. One of the lawyers at the firm has even been honored with membership in the Multi-Million Dollar Advocates Forum, which is an accomplishment that is earned by less than 1% of all practicing attorneys in the country. If you or someone you love has been wrongfully injured in Alabama, you should not hesitate to find out how the legal team at Morris, Cary, Andrews, Talmadge & Driggers, LLC can help. Not only does the firm possess some of the state's most skillful trial attorneys, but their extensive experience and unwavering commitment to excellence truly set them apart from the rest. It won't cost you a thing to discuss your case with a Montgomery injury attorney at the firm when you call their office at (888) 694-0174 or fill out the free case evaluation form that is located on their website, so there is no reason why you should wait any longer to get started on pursuing the level of compensation that you deserve. 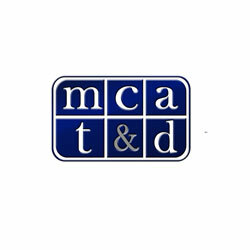 Visit the firm's official website today by clicking here: http://www.mcatlaw.com.